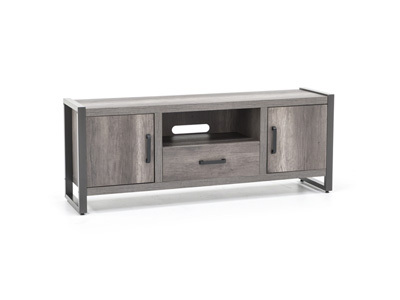 Whether working from home or just enjoying some free time.. this modern. 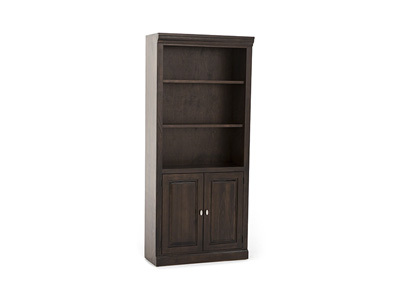 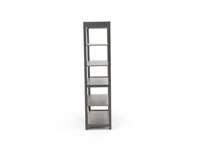 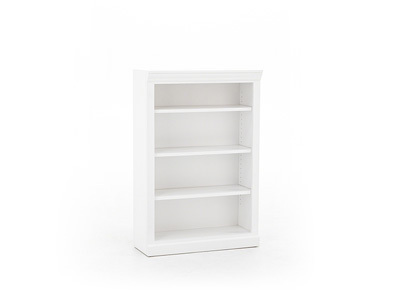 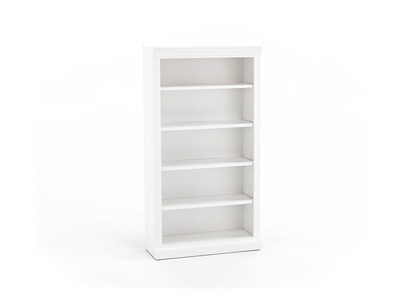 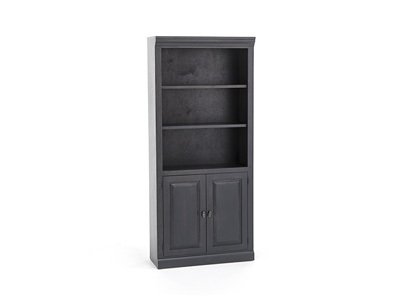 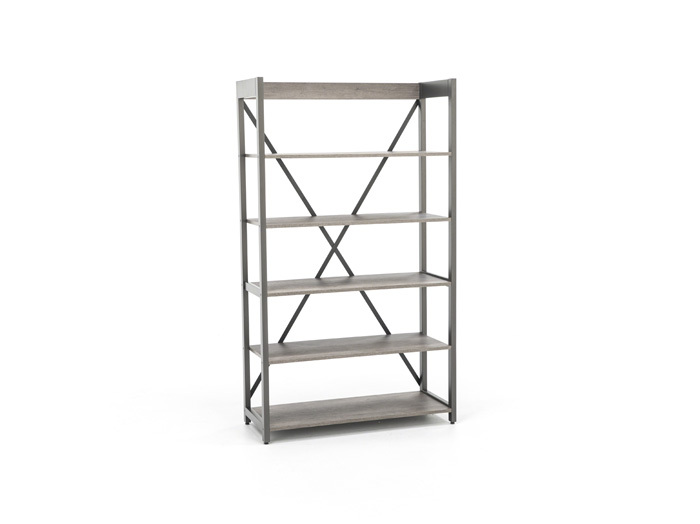 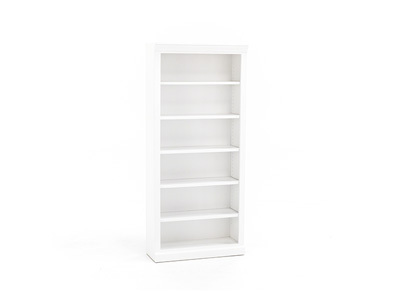 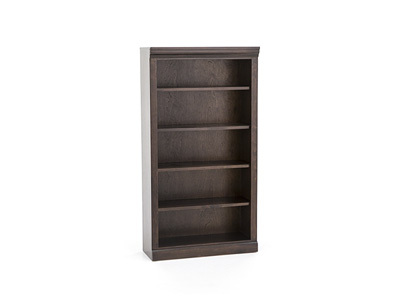 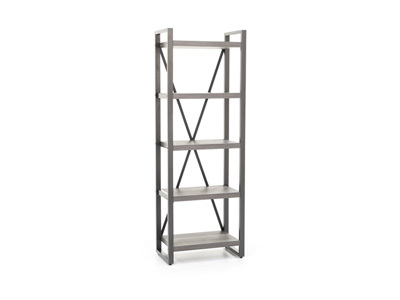 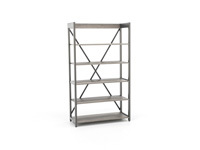 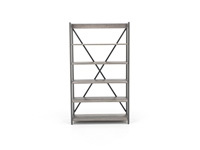 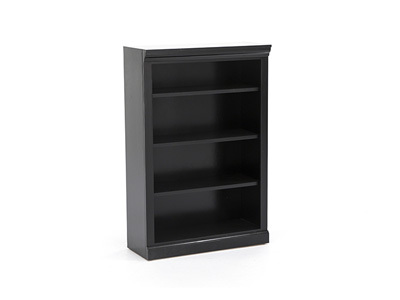 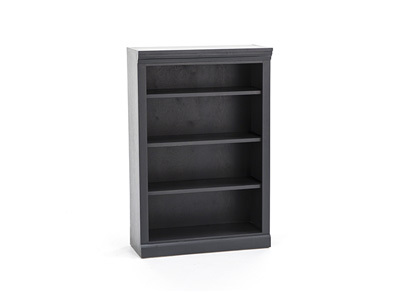 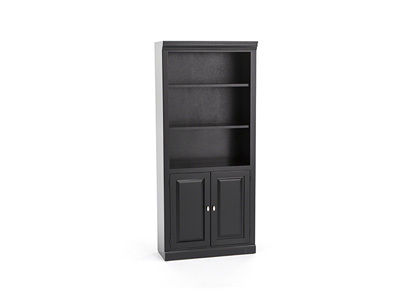 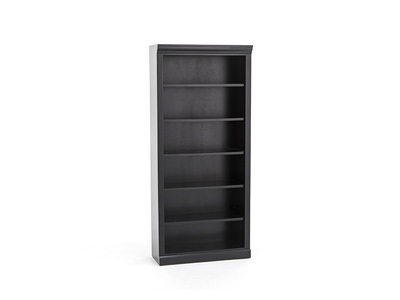 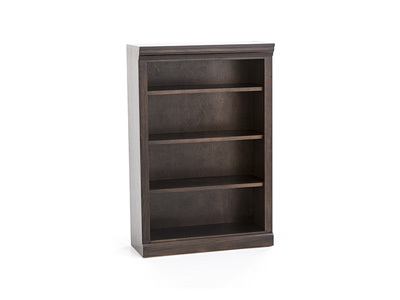 chic bookcase will be a great addition to your home office. 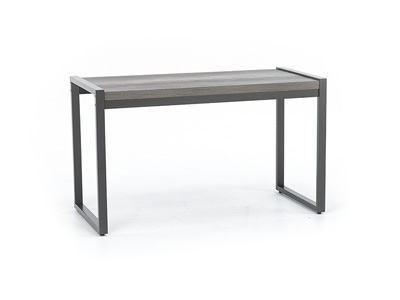 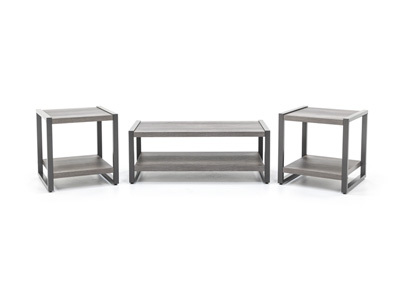 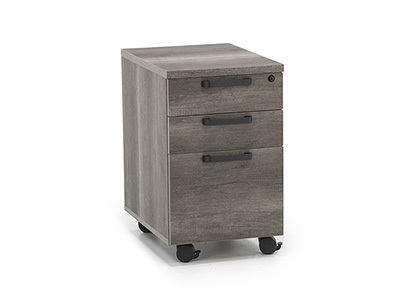 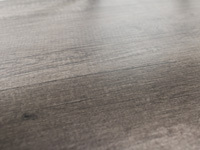 Features dark pewter metal hardware and frame, mixed with a rustic wood top in the very popular greystone finish.